The Brother CS6000i computerized sewing machine is one of the least expensive, feature-packed sewing machines on the market. Normally, I don’t recommend computerized sewing machines to younger users or those that are inexperienced – but the CS6000i is the exception to the rule. Not only is this machine made by Brother (one of the most popular brands in the industry), but it is easy to use and provides you with a computerized setup minus all of the bloat. We had the pleasure of trying out this model for a few weeks while writing this Brother CS6000i review, and it’s now one of our go-to sewing machines that is able to perform up to task for virtually every project we do. When you buy from Brother, you can feel safe in knowing that they do not skimp out on the accessories provided. This model comes with a hard cover to keep your machine protected at all times. While this may seem trivial, I know of certain high-end models that offer covers that are as thin as paper and less durable, too. You’ll also have peace of mind in knowing that your unit is under a 25-year warranty – if it breaks, it will be repaired or replaced. Keep in mind that this sewing machine is often under $150. 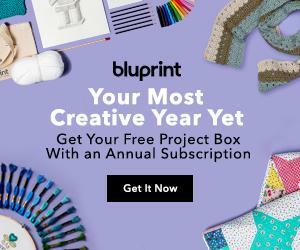 Versatile and value-packed, it truly does come with everything you need to start sewing. Setup is easy and fast thanks to the advanced technology put into this machine. 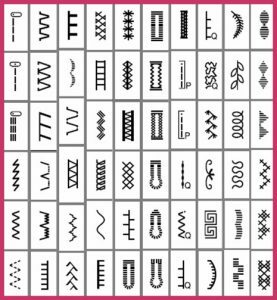 Starting with threading, you’ll find that there is a numbered diagram on all of the appropriate threading spots that allow you to thread the machine even if this is your first time sewing. A diagram is included that shows you how to use the CS6000i’s automatic bobbin winding system. Featuring a quick-set, top drop-in bobbin, you’ll eliminate trying to fish your thread (one of the most hated parts of setting up a sewing project). At this point, you can choose to turn on the work area light and continue, or start on your next sewing project. Part of your setup may be to attach the quilting table. Not only is the table large, but it is very sturdy, allowing you to begin quilting even the hardest projects. The LCD screen allows you to choose among the 60 included stitches, and you’ll find to the right of the machine there is a diagram with a listing of all of the stitches to choose from and their corresponding numbers. With the push of a button, you’ll be able to choose stitch length and width. The included foot pedal allows you to use your foot to control your sewing speed, or you have the option of choosing between three speed setting – this is a computerized sewing machine after all. Why wouldn’t you use your feet? When dealing with complicated patterns, all you need to do is engage the automatic sewing feature and you’ll be able to guide your fabric to your pattern’s specifications without concern of having to move your feet. There is also a start and stop button that will stop the needle so that you can re-position the pattern with ease. And I almost forgot to mention that there is a free arm to make cuffs, sleeves or hems with ease. A one-step buttonhole feature allows you to successfully create buttonholes – minus the fuss. The one thing that is important to point out here is that the holes actually work well. You don’t need to fuss with them or go through a workaround to ensure that the hole is appropriate. While the included needles are not likely strong enough to go through leather or the like, it is possible with more durable needles. But I haven’t really worked through a lot of leather projects personally, so I am not sure how it will work with thicker leathers. Speaking to others, if you want to work with leather or other heavy duty fabrics you should probably consider a more powerful machine like the Janome HD3000; you can read about the HD3000 in our in-depth review here. One nice thing about the CS6000i is that it will even remember your needle position, but it will not remember your stitch customization. I’m not sure what the engineers had in mind when they designed this machine, but the light seems to be poorly placed – and not bright enough. While this isn’t much of a concern if you have an overhead light, it is a topic of discussion. And the needles provided were a bit flimsy (aren’t all of the included ones flimsy?). While acceptable for beginners, it’s recommended that you buy higher quality needles that are a little more durable. And as you can imagine, these are two small faults that are easily overlooked thanks to the quality of the Brother CS6000i computerized sewing machine. 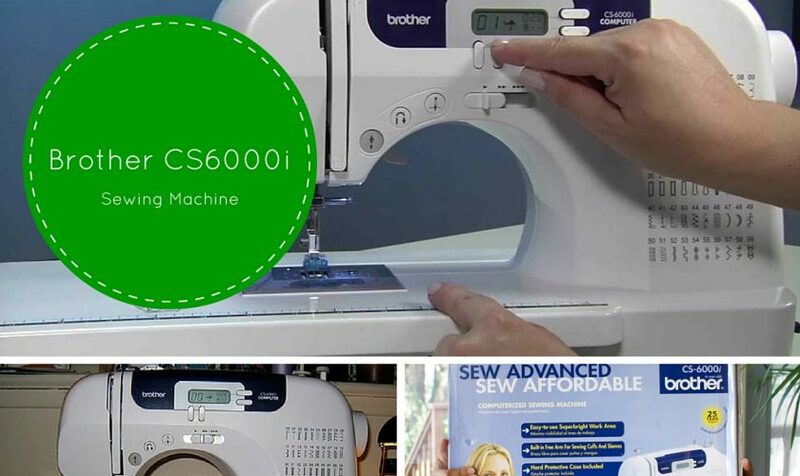 For beginners and advanced seamstresses alike, the Brother CS6000i is one of the best in the computerized category that doesn’t include all of the bloated features that are never used, but put in to inflate the price (like 700 stitch options). 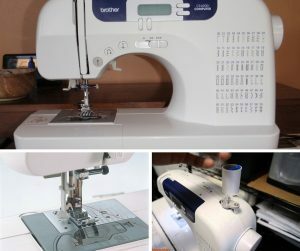 If you’re looking for an affordable, durable sewing machine that offers computerized sewing and comes with a slew of extras, look no further. => Click here to purchase the Brother CS6000i today. I am purchasing this sewing machine based on your recommendation! I am upgrading from a Runway Project $40 Walmart special, so I hope I can figure this machine out. This is a nice machine. I’m sure you won’t have issues leaning how to use it. I’ve been using this sewing machine for five years now and I love it.